This comprehensive renovation to Northeastern University’s historic Matthews Arena, the original home of the Boston Bruins, upgraded team facilities to state-of-the-art league standards and improved the overall fan experience. The renovation encompassed 107,000 sf and involved full upgrade of the men’s and women’s locker rooms, sports medicine area, and strength and conditioning equipment spaces. New seating, scoreboard, sound system, arena lighting, and a sprinkler system were added. ADA upgrades with a new elevator improve accessibility throughout the building. The project was completed in eight months to meet academic and competition schedules. 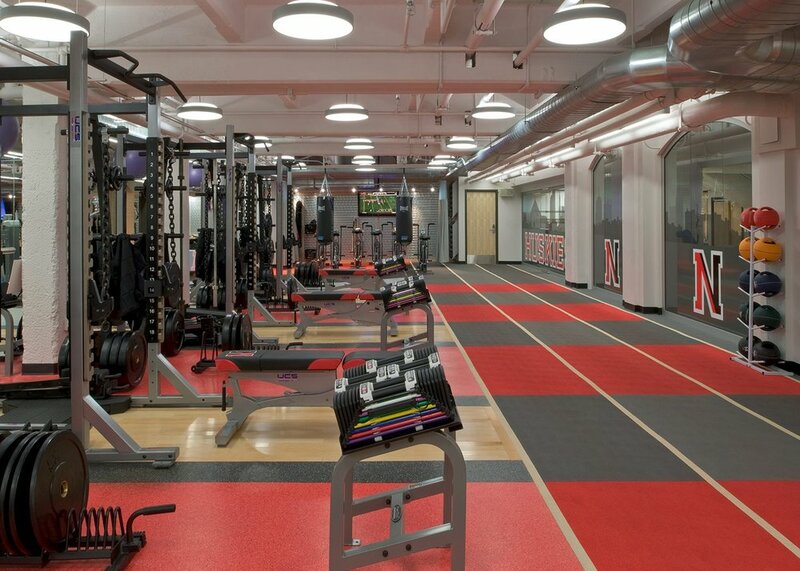 Improvements to the men's and women's locker rooms and training facilities celebrate Northeastern Athletics and enhance the student-athlete experience. 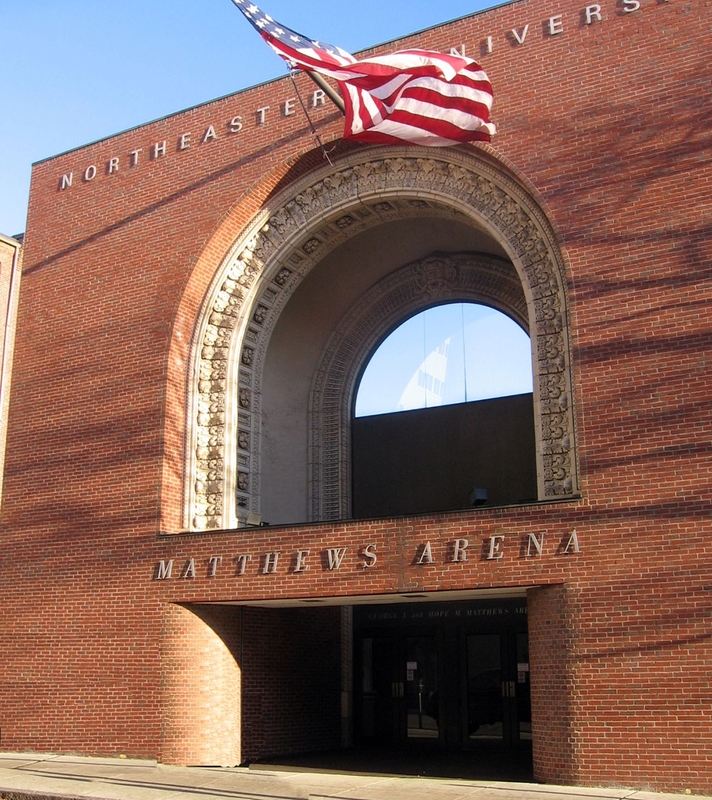 Northeastern University returned to MDS in 2013 for renovations to the men’s and women’s hockey coaches offices in Matthews Arena. The primary goal of the project was to enhance the experience for potential player recruits when they visit Northeastern and meet with coaches. Our design approach altered the layout to create a more welcoming reception and waiting space for visitors, and added dedicated conference and meeting spaces where coaches meet with recruits and their families. The finishes in the adjacent Varsity Lounge were updated and a new folding glass partition between the spaces was incorporated. The renovation scope comprised 4,100 sf on the second floor of the Matthews Arena annex, as well as the existing exterior public entry that leads directly into the hockey offices space.